"I love working with children and people with special needs. It is very important to me to provide your child with exceptional dental care. I want kids and their parents to look forward to coming to our office and I want to make it easy and convenient for your family. Thank you for your interest in SKY Pediatric Dentistry!" Bowling Green Board Certified pediatric dentist Dr. Mandy Ashley is originally from upstate New York. She graduated from high school at age 16 and became a Rotary International Exchange Student to Finland for a year. She attended Rensselaer Polytechnic Institute and graduated in 2 years with a Bachelor's in Science, majoring in Biology. She also became an Emergency Medical Technician while in college to gain an additional perspective on emergency health care. Dr. Ashley graduated from the University of Pennsylvania School of Dental Medicine in 1999 with a Doctorate of Dental Medicine. While in dental school, she also attended night school at the University of Pennsylvania Graduate School of Education and was awarded a Masters in Education in 1999. As a new general dentist in 1999, Dr. Ashley took a one-year position with the Arctic Slope Native Association to work in underserved Barrow, Alaska. She fell in love with the unique community located along the Arctic Ocean coast and stayed 11 years. During this time, she provided dental care for the people of Barrow and the surrounding villages. She flew out to the villages of Atqasuk, Kaktovik, Nuiqsut, Anaktuvuk Pass, Wainwright and Point Lay via small single engine prop-plane. Dr. Ashley developed a school-based oral health program, started a children's dental clinic and developed and taught a dental assistant training program. In 2009, Dr. Ashley was nationally recognized by the Robert Wood Johnson Foundation as a Community Health Leader. Dr. Ashley continued her education by going back to school to specialize in pediatric dentistry at Nationwide Children's Hospital/The Ohio State University in Columbus, Ohio. She graduated in June 2012 with her Certificate in Pediatric Dentistry and a Masters in Science for her research on individual biomarkers involved in healing after serious dental injuries. Dr. Ashley's residency had a special emphasis on sedation dentistry and treatment of people with special healthcare needs. 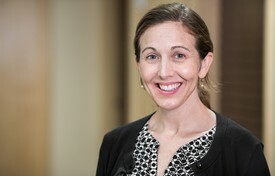 Dr. Mandy Ashley has four young children- Asa, Sabine, Wyatt and Isaiah! She enjoys challenging CrossFit workouts, the peloton bike, and rollerskating as fast as possible! Dr. Mandy Ashley also taught part time at the Dental Hygiene School at WKU and currently volunteers at the Commonwealth Health Free Clinic 'Dentistry After Dark'. She loves spending time with her children while exploring all that Southern Kentucky has to offer!